Samsung electronics has finally unveiled the Galaxy Note 9 device! And yes, the device confirmed a number of leaked specs that have been building up towards its launch. As expected, the device isn't that much different in terms of design from the Galaxy Note 8. In terms of specs, theres a big difference. The Galaxy Note 9 spots a 6.4-inch Quad HD+ Superl AMOLED 2960 x 1440 pixel resolution display. The base model of the Galaxy Note 9 will come with a 128GB of storage coupled with 6GB of RAM size, while another model will come with 512GB storage and RAM of 8GB. Both device have support for external MicroSD expansion which supports up to 512GB. The Galaxy Note 9 user of the 512GBb variant will have up to 1TB of storage when coupled with a 512GB MicroSD card. One major improvement in this years Galaxy Note device is the battery size. Samsung gave the Galaxy Note 9 a massive 4ooomAh battery to enable users play games, watch videos, video calls, browse, do other stuff and still have battery juice left for other use. As you all know, bigger battery size = longer usage of the device. Because of this, Samsung developed a Water Carbon Cooling system to cool the device temperature during heavy gaming. Samsung also made an on-device Al-based performance adjusting algorithm to balance powerful performance with stability. The Samsung Galaxy Note 9 device will be powered by the Exynos 9810 in most markets, while select markets will get the Snapdragon 845 variant. 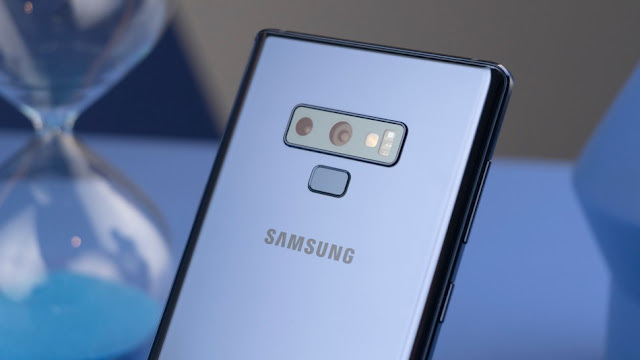 The Galaxy Note 9 device has a 12-megapixel f1.5/f2.4 + 12-megapixel f2.4 dual camera system with 2X optical zoom at the back of the device. At the front of the device is an 8-megapixel f/1.7 front camera. Packed with Android Oreo 8.1 on the device, the Galaxy Note 9 device will support fast wireless charging, IP68 water and dust resistance, Samsung Pay, Samsung Health, iris and finger print scanning as well as facial recognition capabilities. The Note 9 device comes with AKG-tuned stereo speakers to deliver Dolby Atmos immersive audio to the user. Another feature that has waiting for is the new S Pen with Bluetooth capability. The stylus have Bluetooth Low-Energy support and perform lot of task such as take selfies, group photos, playing and pausing video, acts as a remote control for slide presentations, launching of apps and more. The S Pen is IP68 certified for water and dust resistance. It takes the S Pen just 40 seconds to fully charge -- and that charge can last up to 30 minutes or 200 clicks. The S Pen charges automatically when inserted back into the Note 9 device. 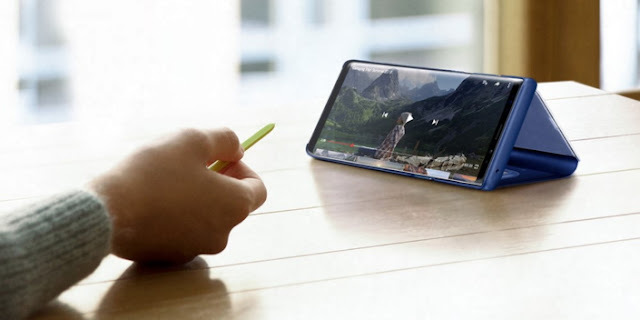 Samsung said it will enable developers to integrate the S Pen's BLE functionalities into third party apps sometime later this year. 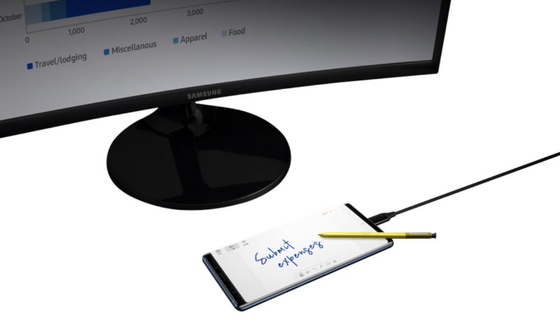 The Galaxy Note 9 won't need a dock to give users a PC-like experience when plugged to an external monitor via Samsung DeX. Users can use DeX with the Note 9 using HDMI adapters to connect to the monitor. The Note 9 disp board too. Pre-orders for the Note 9 is already on as shipping will start on the 24th of August, 2018. 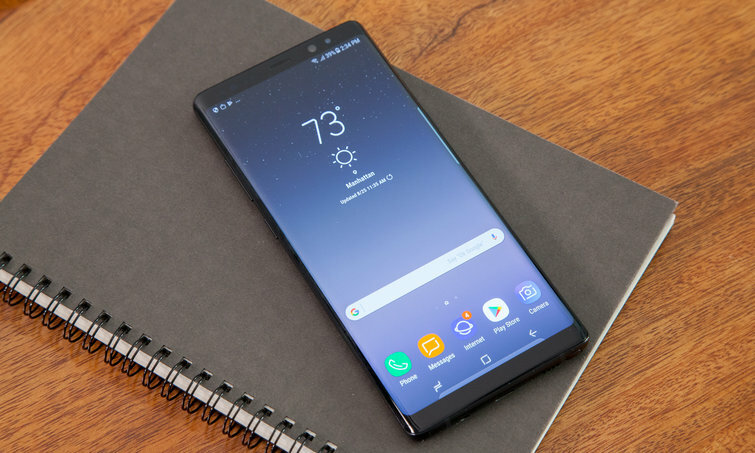 The 6GB/128GB Galaxy Note 9 model is expected to be sold for £899 while the 8GB/512GB version is expected to be sold for £1,099. The Galaxy Note 9 will be alay can be used as a trackpad to right-click, drag and drop. The Note 9 devce can also be used a keyvailable in Midnight Black, Lavender Purple and Metallic Copper and Ocean Blue colour.